Disclosure: Amazon affiliate links are included in this post. 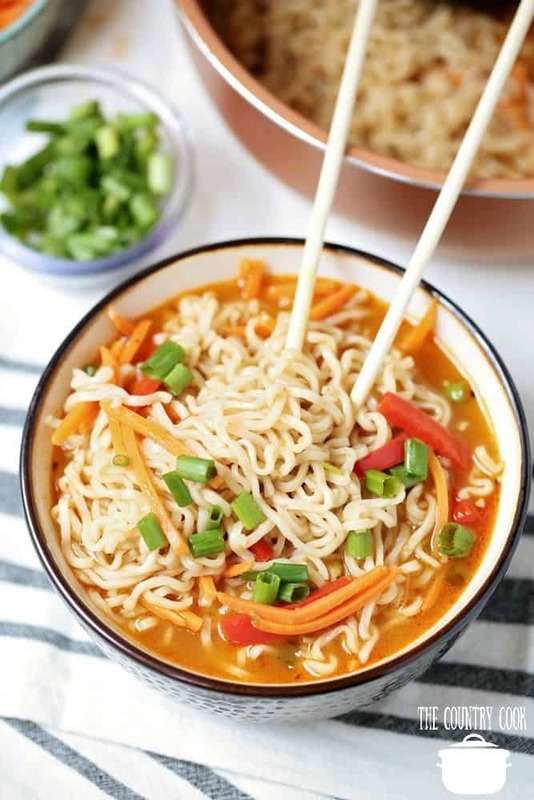 Ramen noodles will take on the flavor of whatever you simmer them in. So I’m using a flavorful vegetable broth along with some red curry paste. This was kind of an experiment for me because I’ve never really used curry paste before. But I saw it in the Asian food aisle of my grocery store and started reading the ingredients on the back. It’s nothing mystical. It’s just ground red chilies, lemon grass, pepper and garlic and some other seasoning. 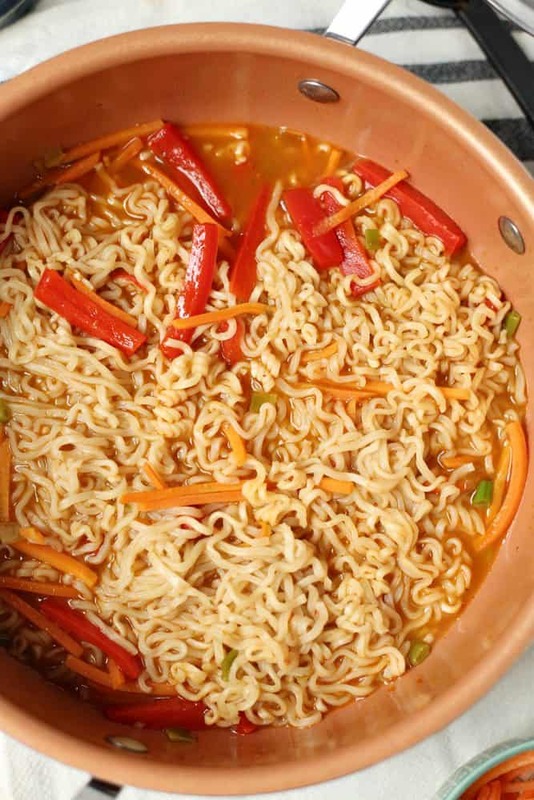 The more curry paste you add, the spicier your soup broth will become. Can’t find red curry paste? Just go with tomato paste and if you want to spice it up, stir in some red pepper flakes. 🙂 This turned out amazing, y’all! AH-MAZING! Vegetarian approved too! 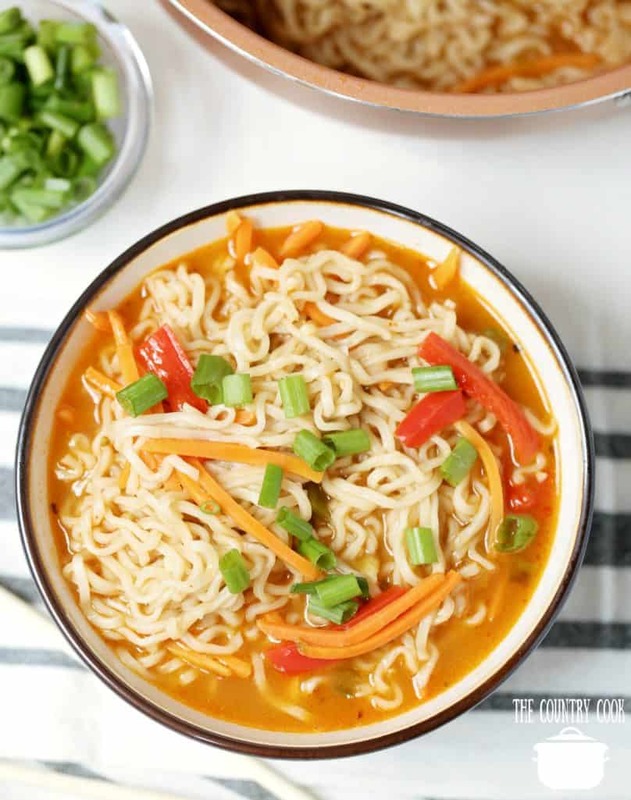 *Cook’s Notes: Red curry paste can usually be found in the Asian food aisle of your grocery store. Or you can purchase it on Amazon using the link here. Tomato paste can be substituted for the red curry paste. 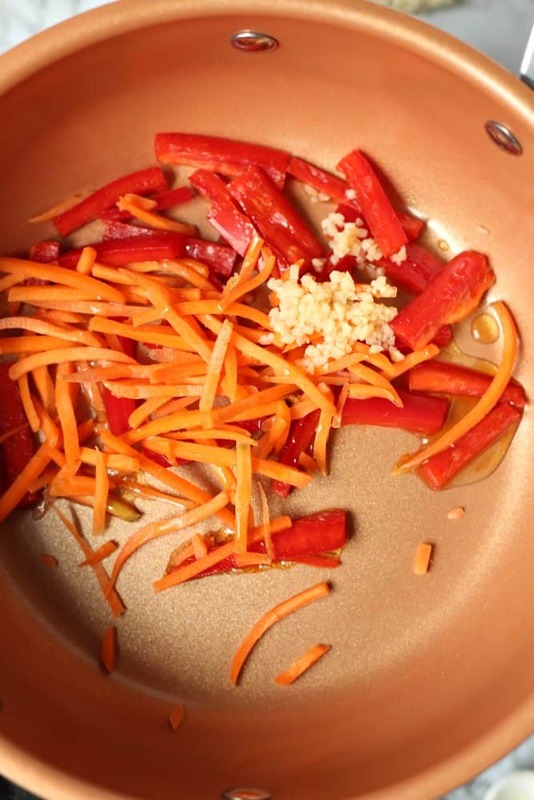 In a large, wide-bottomed pot or a dutch oven, sauté red peppers, carrots, garlic, and green onions in sesame oil over medium heat until soft. Remove from pot and set aside. 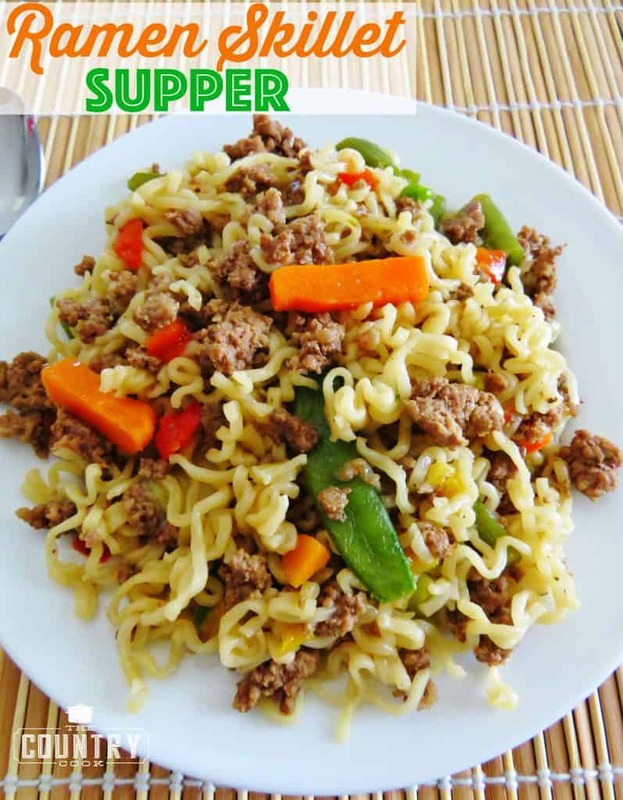 In the same pot, boil vegetable broth, then drop in noodles. Cook over high heat until they soften and break apart. Then pour vegetables back in. Stir in red curry paste, reduce heat to medium, and let simmer for 20 minutes. 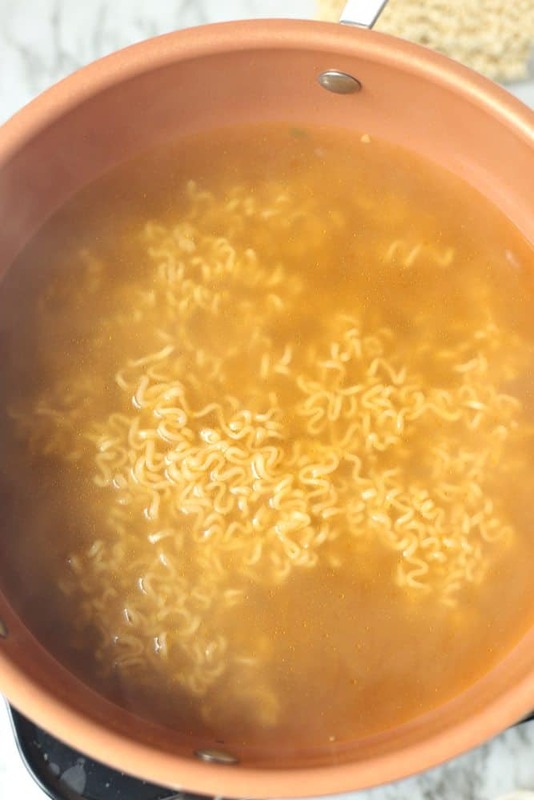 If your liquid begins to boil, turn heat down to medium-low. 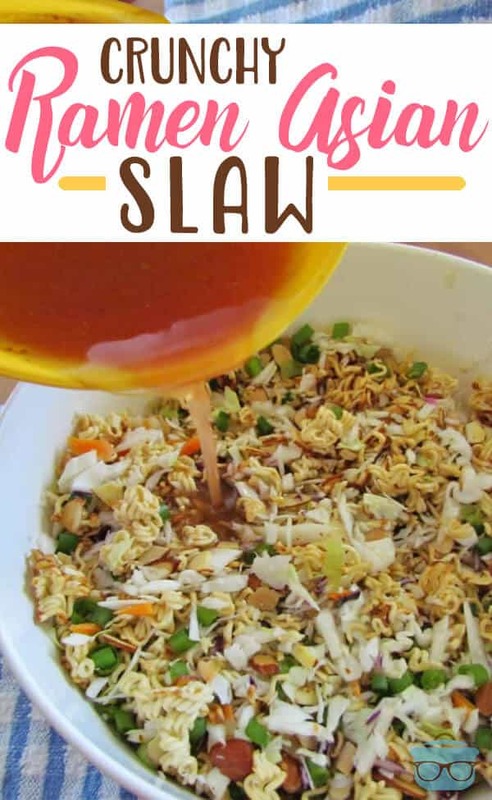 When fully cooked, serve in a bowl and top with additional sliced green onions. 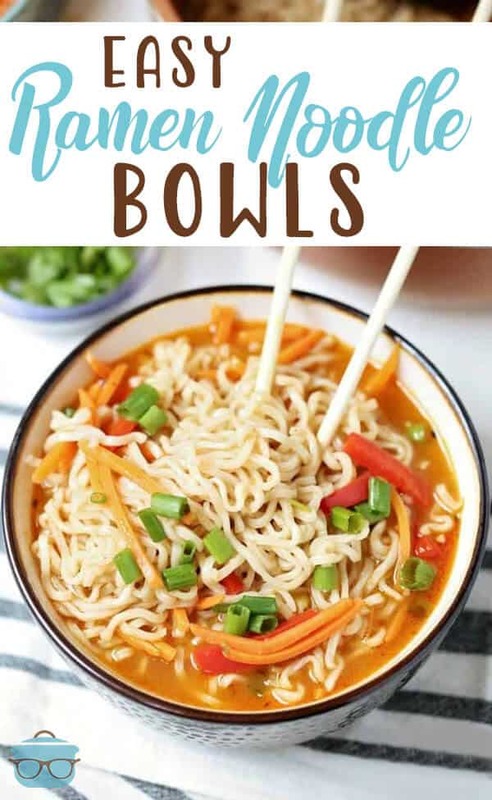 This recipe for Easy Ramen Noodle Bowls is delicious! 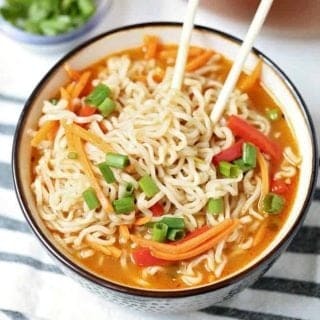 Take those cheap ramen noodle packets to the next level with broth, garlic, carrots and red peppers! 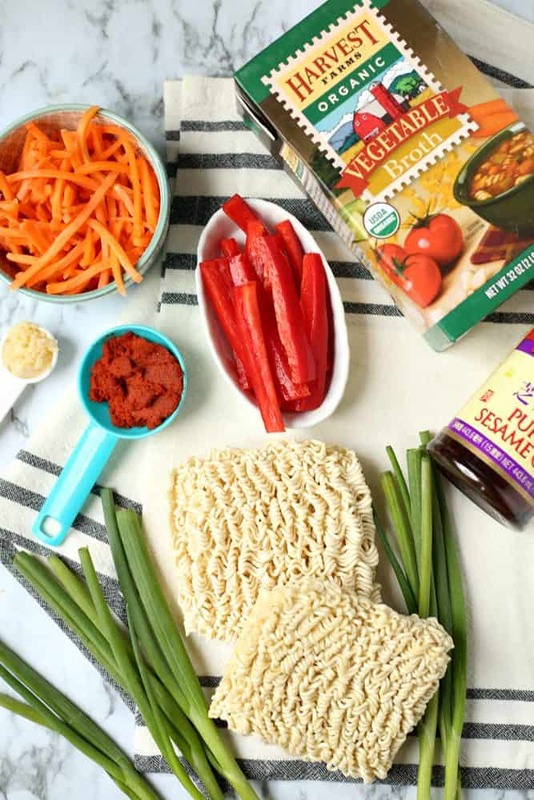 Red curry paste can usually be found in the Asian food aisle of your grocery store. Tomato paste can be substituted for the red curry paste. Hi! If you want to feel less ‘bad’ about your ramen use Koyo brand! Organic and a good amount of protein. Also, the packets are really good. A bit of sodium but all natural/organic ingredients. I like these kinds of soups very much. It reminds me trip to China and Vietnam. It should be spicy. I enjoy Ramen noodles without the packet and just cook the noodles then put butter and sprinkle Parm. cheese on them! Yummy!! !